Diamond wedding rings have always been a symbol of grace, elegance, style and beauty. Now more than ever, women are really looking for something unique – something that no one else has. We’ve collected the most popular ideas of wedding rings to help you to find beautiful diamond wedding rings for your special day. Looking for creative wedding ring designs that go beyond the typical silver, gold, or diamond band? Wedding rings are available in plenty of styles. 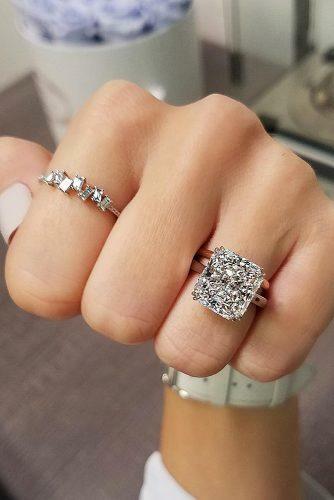 Halo, simple or romantic diamond wedding rings – there are many fantastic ideas in our post. Browse the gallery and find your perfect wedding ring.